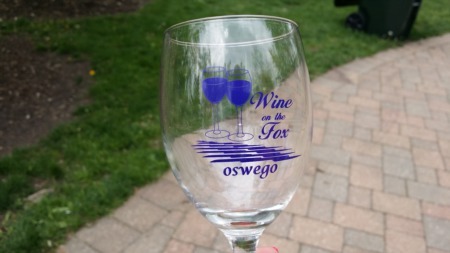 “In the past year, eXp has grown in extraordinary ways in both financials and size. 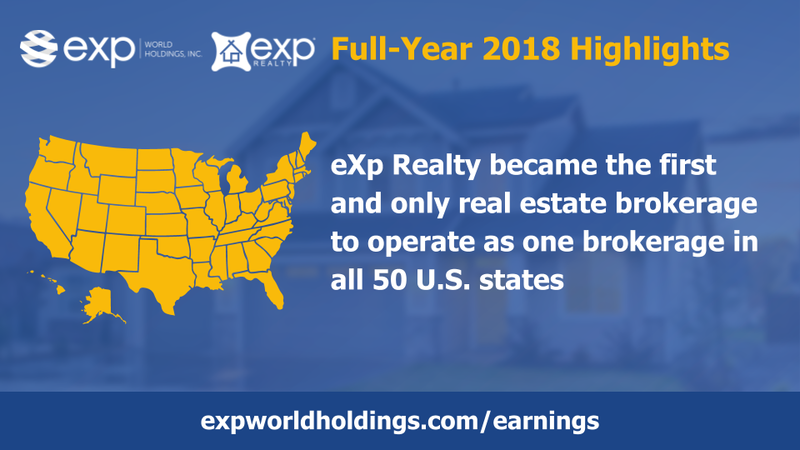 eXp Realty became the first and only real estate brokerage to operate as one brokerage in all 50 U.S. states, more than tripled revenue and grew agent count by 139%.” - eXp World Holdings CEO, Chairman and Founder Glenn Sanford. 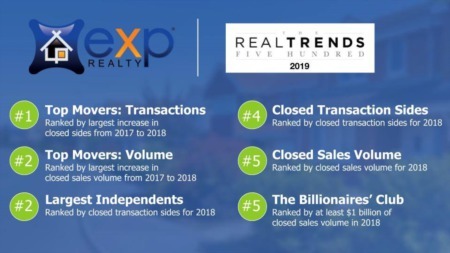 We continue to break records! 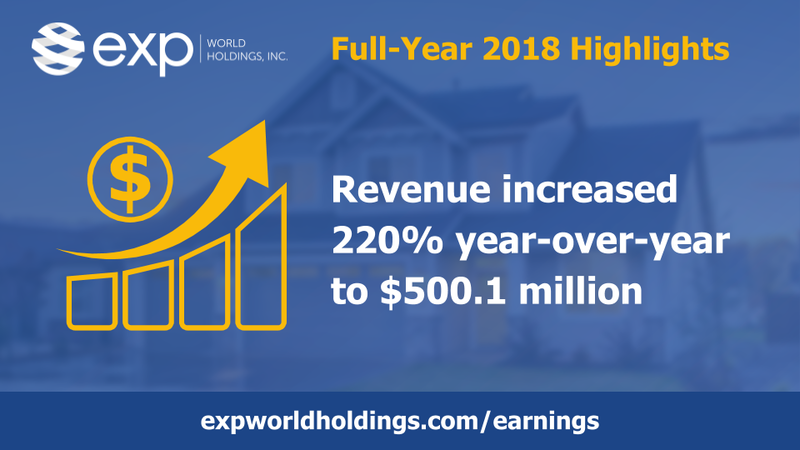 Our revenue increased 220% in 2018 to a record $500.1 million, compared to $156.1 million in 2017. 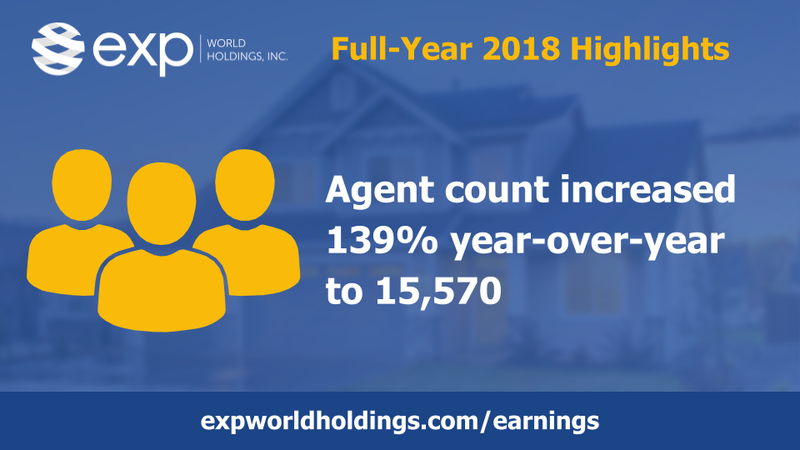 Click here for the full-year 2018 financial summary. 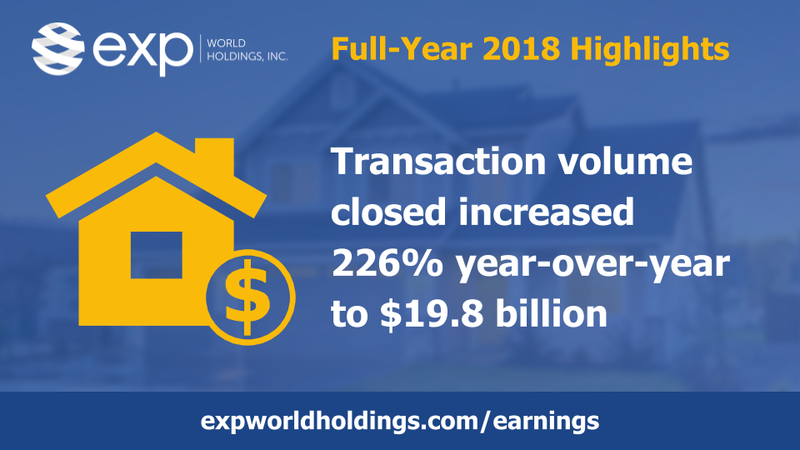 In 2018, residential transaction volume closed increased 226% to $19.8 billion, compared to $6.1 billion in 2017. 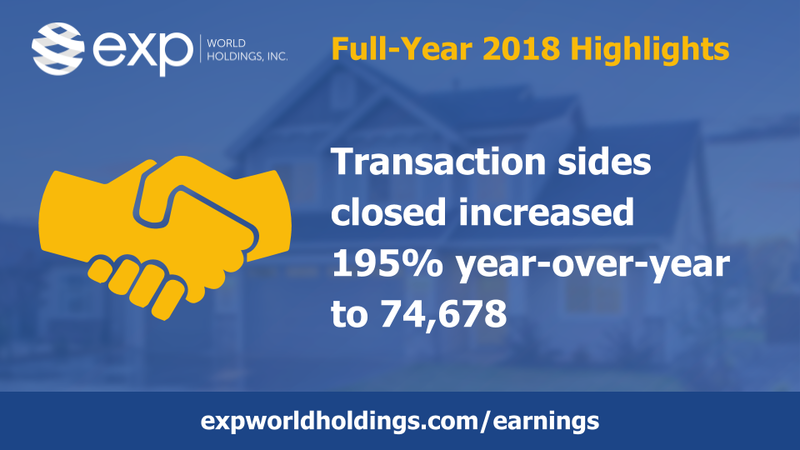 Residential transaction sides closed for 2018 increased 195% to 74,678, compared to 25,299 in 2017. 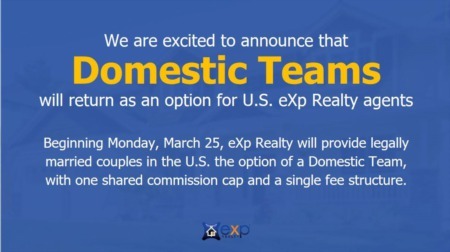 In 2018, eXp Realty became the first and only real estate brokerage to operate as one brokerage in all 50 U.S. states. 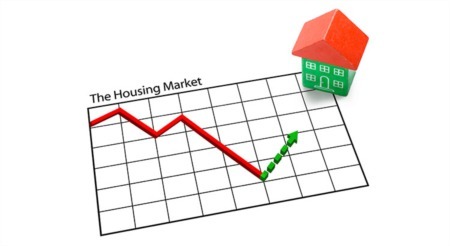 We also operate in three Canadian provinces.